Born Margaret Power at Knockbrit, near Clonmel, in the county of Tipperary, in 1789, she was the second daughter of a dissolute landowner with a nasty temper, which only grew worse as the years went by. Maybe it was because of this that Marguerite found comfort in books. The pretty and sensitive child loved browsing the family’s library and, pretty soon, she started making up her own stories which she would recite to other children. Marguerite and her sister Ella were later sent to live with one of their rich relatives. When they returned home, the education they had received set them apart from that of the ordinary Irish country girl, whose accomplishments and toilet usually amounted to “two washing gowns and a tune on the piano.” Marguerite, on the other hand, was well-educated, clever, well-dressed and a good dancer. She was very beautiful too. 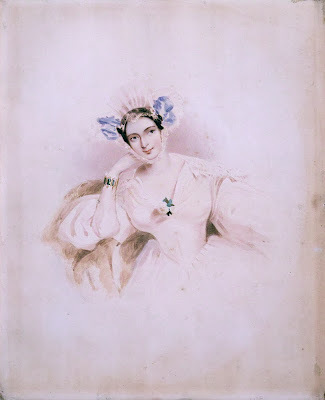 The sisters started attending all the parties and amusements their town could offer and, soon, Marguerite attracted the attention of Captain Maurice Farmer who was stationed there with his English regiment. Against her will, she was forced by her father, who was attracted by the Captain’s fortune, to marry him. She wasn’t even 15 years old yet, while her husband was old enough to be her father. The marriage was a disaster that made the young girl very unhappy. Just like her father, her husband too had a violent temper. He was often cruel to his young bride, kicking her and locking her in the house for days on end. Marguerite hated him. After six months, he was sent abroad. Margaret refused to follow him. Maurice didn’t care. He claimed he was “glad to get rid of the brat”. Marguerite went back to her father’s house, but he refused to help her. For the next nine years, Marguerite would just live with friends. 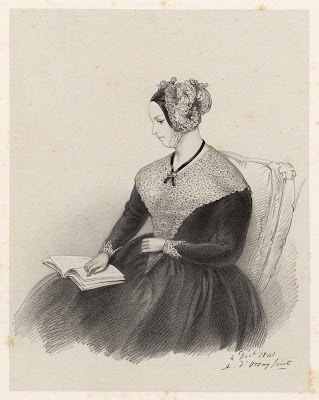 She moved in with the family of the sympathetic and literary sea captain Thomas Jenkins. 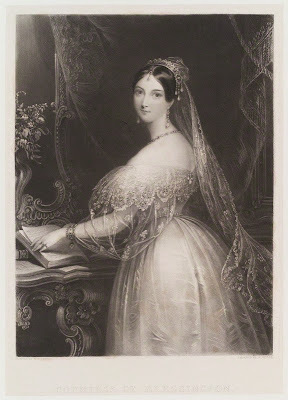 It was he who introduced Marguerite to her second husband, the widower Charles John Gardiner, second Earl of Blessington. The Irish earl was seven years older than Margaret, had money, looks, little wit and four children. In late 1817, Maurice, intoxicated by alcohol, fell out of a window of the King’s Bench prison, where he was confined on a charge of assault in a drunken row, and died. Margaret and Charles didn’t lose any time. Four months later, on 16 February 1818, the couple married at St Mary’s, Bryanston Square, Marylebone. Marguerite and her husband lived in style in a beautiful house, where they liked to entertain lavishly. But she also very generous and devoted to her friends and family, helping them whenever they needed it. For instance, she adopted and educated her little sister Marianne who became her travelling companion and, later, her biographer. But Marguerite hadn’t forgotten her literary dreams. She published two books, “The Magic Lantern” and “Sketches and Fragments”, about London society which, however, didn’t sell well. 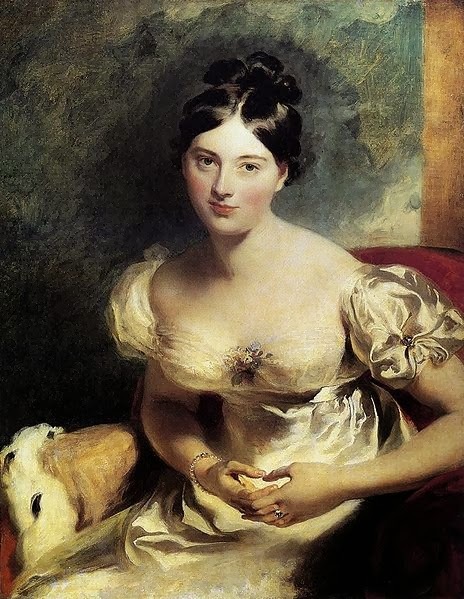 Instead, it was “Conversations with Lord Byron”, whom she had met in Genoa in 1823, that was an instant success (the book was published in 1834, when Marguerite was in financial straits). After Genoa, Marguerite, together with her family, went to Naples and Florence. It was also in Italy that Harriet Gardener, Lord Blessington’s only daughter by his first wife, married Count D’Orsay, a close friend of Marguerite. The newly-wed couple and the bride’s parents moved to Paris towards the end of 1828. The following year, Marguerite became a widow for the second time when her husband died of an apoplectic stroke aged only 46. The family returned back to England when D’Orsay, now separated from his wife, continued to live with Marguerite. In their home, they entertaining the literary, artistic, political and fashionable personalities of their age. Louis Napoleon was a frequent guest during his years in exile. Other guests included William Thackeray, Lord John Russell and Lord Palmerston. However, her income had decrease considerably during the years so, to pay the bills, she resorted once again to literature. In addition to “Conversations with Lord Byron”, she also published “The Idler In Italy” and “The Idler In France”, journals of her trips in Italy and France. She also wrote romance novels with weak characters and plots that, however, painted a fair picture of the society she lived in. She sold well at first, but when the public tired of her works, Marguerite, who didn’t seem able to retrench her expenses, had to sell her belongings to repay her debts. Then, Marguerite returned to Paris where she joined the Count, who had already fled there to escape his creditors. She died there a few months later, in 1849. The cause of her death was a burst heart. When her body was examined, her heart was found to be three times the normal size. 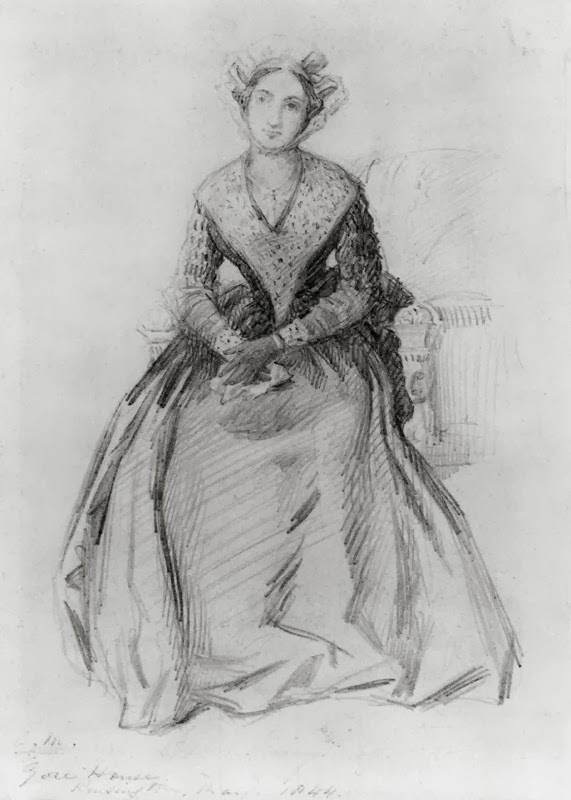 Marguerite was buried at Chambourcy, near St. Germain-en-Laye, the residence of the Duc and Duchesse de Grammont, the sister and brother-in-law of Count D’Orsay.